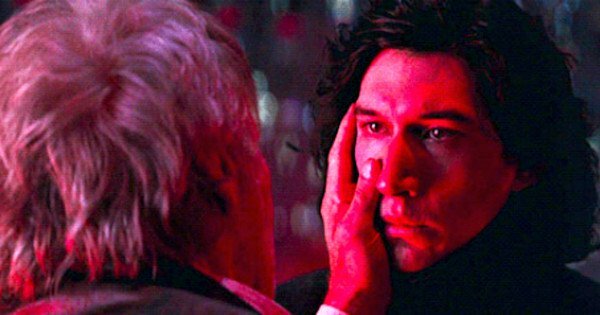 My feelings about The Last Jedi remain complex. There are parts of it that I really liked and enjoyed. There are parts of it that were deeply disappointing. There were parts that were incredibly beautiful. There were parts that were just dumb. The main problem with the prequels was in their direction and construction. You had some exceptional actors who put in good performances and you had some good actors who put in lackluster performances. The problem with them was George Lucas. 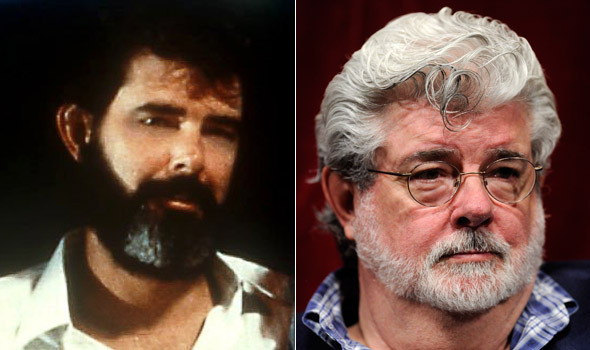 I have a deep and abiding love and respect for George Lucas. After all, he gave us these wonderful stories to begin with. That being said, many people need a collaborator, someone to balance them out. There’s a reason that The Beatles were better than Paul McCartney or John Lennon left to their own devices. The reason the original trilogy movies are so strong despite their flaws is because George Lucas then wasn’t George Lucas now. While he was a well known up and coming filmmaker he was not yet revered as a god. People challenged him. People assisted him. People said no to him. Great writers assisted him with scripts. Great directors assisted him with direction. Great editors pieced together what he had created. 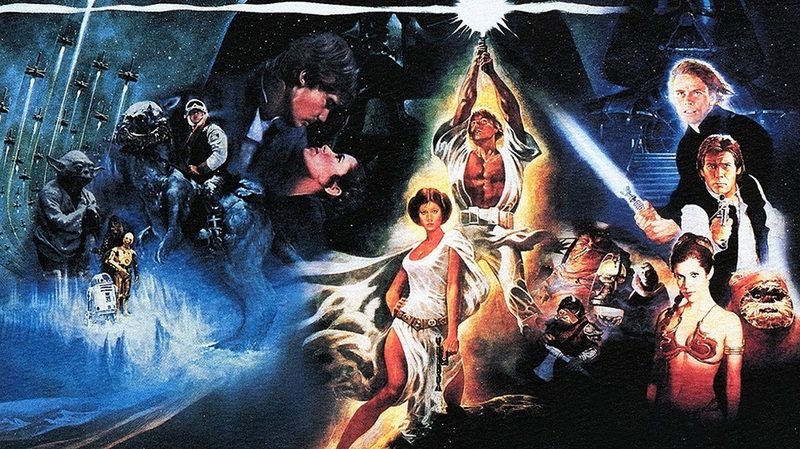 The fabric of the story and mythology of Star Wars is indisputably strong. This is why it’s more popular than ever after 40 years. This is why my two-year-old son came home from school one day and identified Darth Vader from a picture before I’d ever shown him the movie. The characters and the events that happen in the movies are iconic. 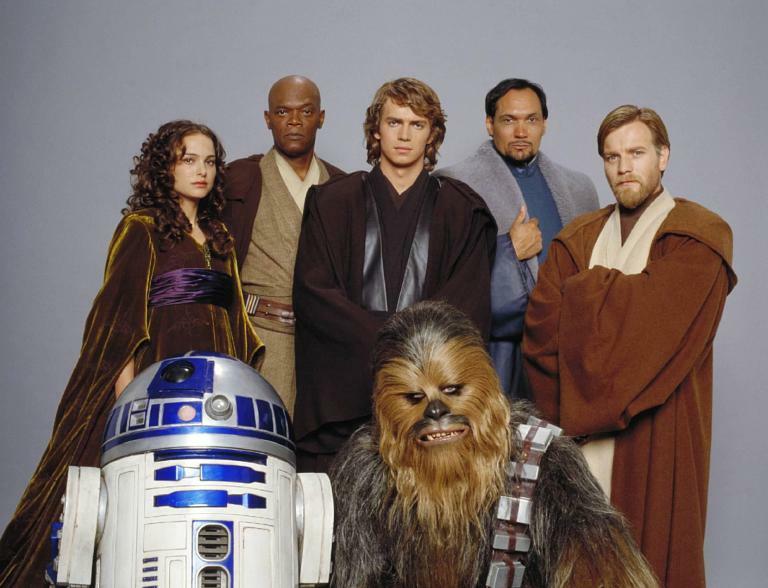 George Lucas put together every facet of the prequel movies and the result is a jumbled mess. On the surface, the story of the three movie arc isn’t bad. A young Anakin is introduced to the Force, joins the Jedi order, falls in love with a marries a Queen, goes into battle during the Clone Wars, is ultimately seduced by the dark side of the Force, turns on his beloved mentor and friend, and becomes Darth Vader. That story could be told in a very compelling way but a lot of the issues come in how the characters get from point A to point B. 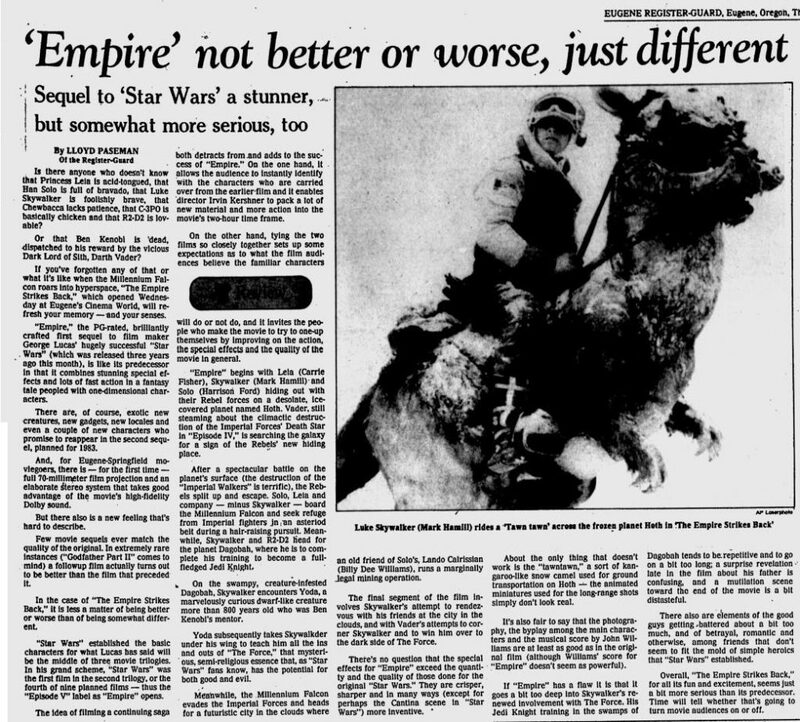 In 1975 someone may have suggested starting Anakin as a young adult (for a number of reasons), or not introducing concepts such as midichlorians, or having a consistent villain throughout the trilogy that we could learn about rather than introducing and subsequently killing off one or two in each film. 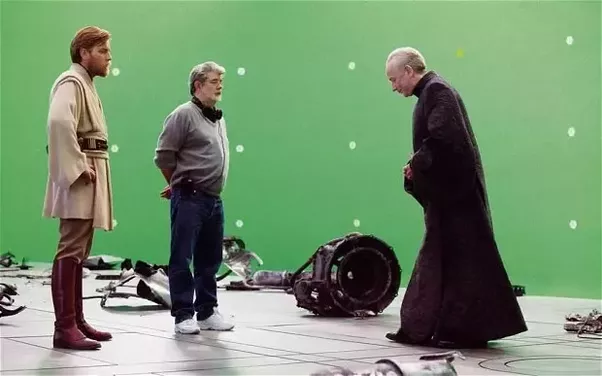 George Lucas can be seen in behind the scenes footage creating a sterile environment where he can just get the scenes shot against a green screen and move on. I get it. I feel the same way about certain aspects of the creative process. There are parts that I love and parts that are a chore. The things is all the parts need to be done and done well. When you’re talking about movies with budgets in the hundreds of millions of dollars you can hire people to do the things you don’t love and to do them well. You just have to let go. You can’t control everything. Marcia Lucas, Irvin Kershner, Lawrence Kasdan, these are people that helped make the original trilogy great. They or their equivalents were absent in the prequels and it shows. The new trilogy addresses these issues. There is more input. There is more collaboration. The stories seem better thought out even with their evident problems. Every story has problems, it’s about having few enough that they can be overlooked. So far I feel that a lot of the new trilogy’s problems can be overlooked. 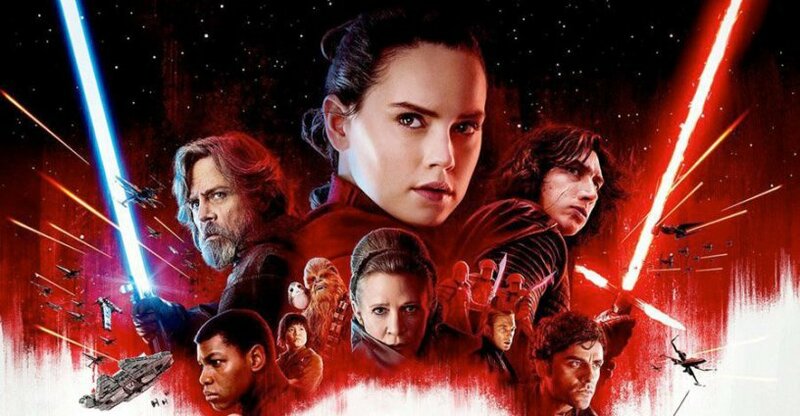 There are a lot of people saying that The Last Jedi killed Star Wars. I think that’s a bit of an overstatement. Star Wars will never die. To stick with the analogy of The Beatles, The Yellow Submarine was a pretty disappointing album. It didn’t kill The Beatles. Artists can have peaks and valleys. The prequels were a valley. The new films could be viewed as a new peak. Maybe not a peak as soaring or majestic as The Empire Strikes Back, but a peak nonetheless. Looking throughout the history of this franchise (and any franchise, really) you’ll find people claiming its death. Just like with bands, people discover a band, get into it, the band gets popular, then a cutoff occurs where the fan claims the band is not as good anymore. There’s no truth to this, it’s completely subjective. 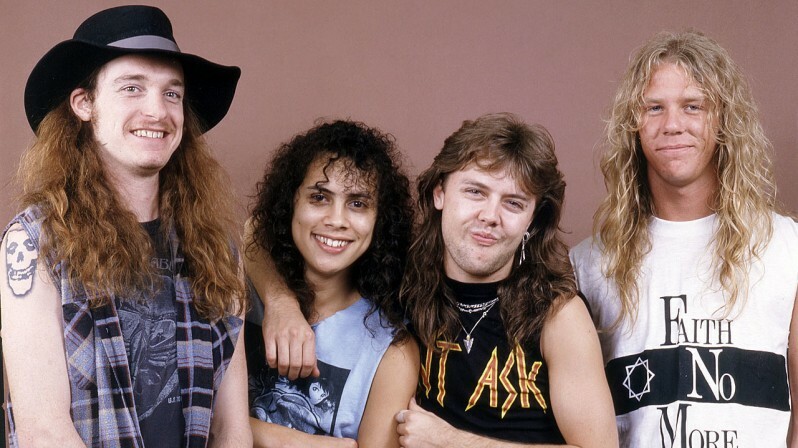 I was really into Metallica in my early teens, then I said they sold out with the release of The Black Album. Kids in my high school claimed they’d done so earlier with the release of … And Justice For All by having the audacity of releasing their first music video. What sell outs! The review goes on with various vicious stabs at what is considered so sacred by fans. I would guess the writer was vastly older than many of us when he saw the first movie and followed it up with the second. I am also vastly less critical of The Return of the Jedi than people that were ten years older then me when they saw it. 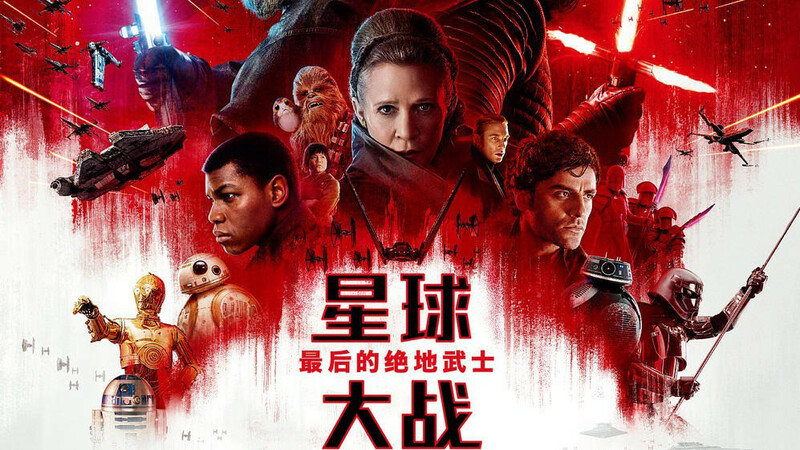 The Last Jedi, and in some smaller way The Force Awakens did kill Star Wars for me in a way. What they killed in me was the investment. I went into both films with low to no expectations. I emerged from The Force Awakens happy and filled with hope. I emerged from The Last Jedi a bit disappointed for all the reasons I outlined in my review. The prequels had beaten most of the hope out of me so my investment was low. I didn’t see a single trailer for either movie and had no idea what to expect. After watching The Last Jedi a second time I did like it a lot more. The beauty of so much of it balanced out some of the frustration I had with the story and characters. 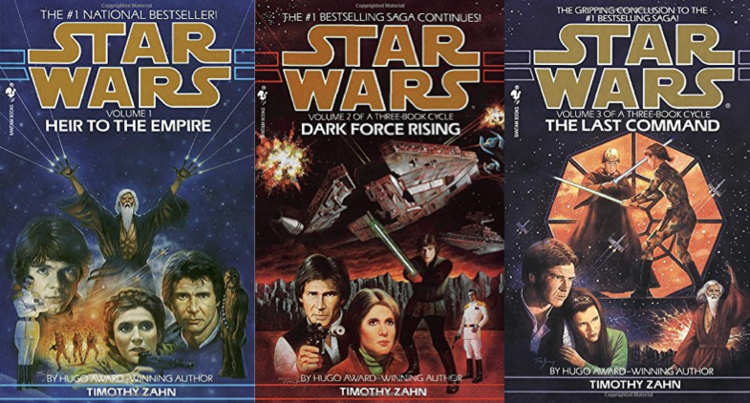 When Timothy Zahn began releasing his famous Thrawn Trilogy in 1990 I remember that feeling of reading stories of Han, Luke, and Leia again. Seeing, or reading, about these characters back in action against a new set of foes was incredible. It’s probably hard for anyone ten years younger than me to understand what it was like at the time. We had the three movies, some comic books which essentially told the same story, some BBC radio dramas which again told the same story, then we had Splinter of the Mind’s Eye which was a throwaway novel that served as a fallback script for the sequel if Star Wars bombed. It didn’t and Splinter was cast aside only to be read by die hard fans. The only other thing that existed outside of all of that was The Star Wars Holiday Special but that only existed in schoolyard rumors and legends. No one had actually seen it and if they had no one had a recording. Only have the internet sprung into existence did it start to take form and did we as fans get a chance to see it. It turns out we weren’t missing much. 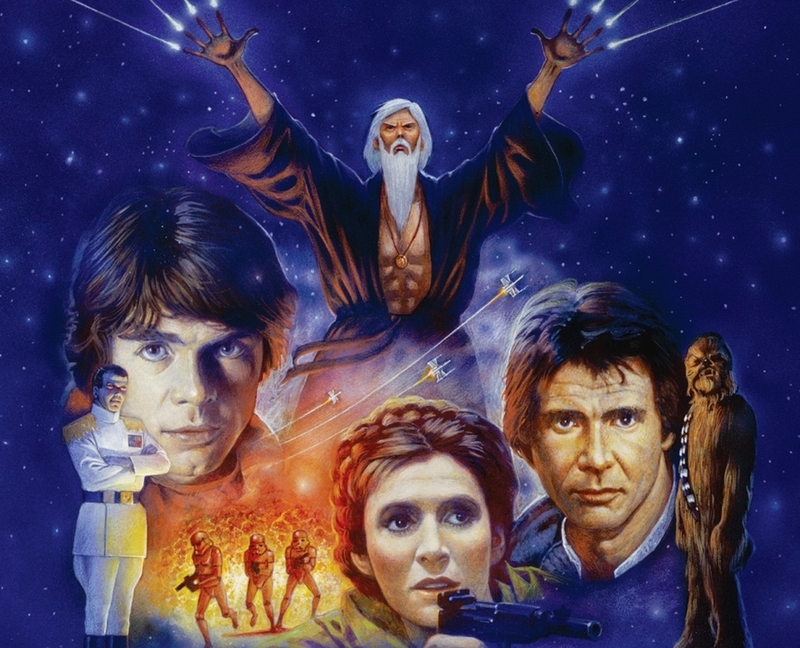 So when the Thrawn Trilogy was released it was exhilarating to see our old heroes back in action again. There hadn’t been anything like it. 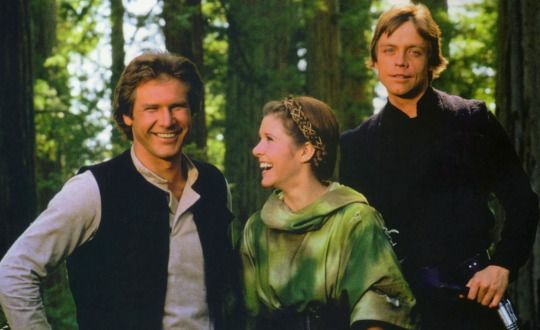 I remember watching the end of Return of the Jedi with tears welling up in my eyes and an aching in my heart wanting nothing more than to know what happened next. What happened to our heroes? People just slightly younger than me can’t comprehend this. Why? Because I can’t even begin to list the TV shows, comics, video games, and novels that have happened since. There has to be hundreds, if not thousands, of outlets for those yearning to spend more time in this universe. In the mid 1980s we were just left for nearly ten years wondering what happened until those books came out. It was the better part of twenty years until the prequels were released. I’d spent the majority of my life until that point formulating my own ideas for them, part of why they were so disappointing. 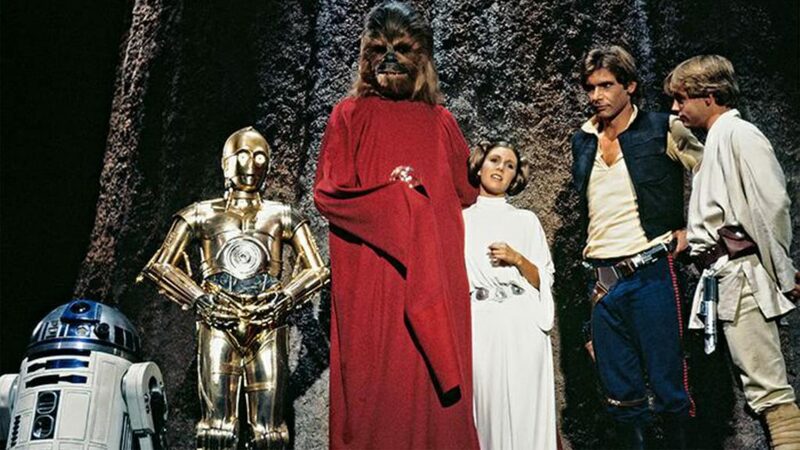 With the new trilogy I wasn’t very curious about Han, Luke, and Leia. I knew what happened to them. At least I thought I did from the dozen or so novels I read in the expanded universe before I tired of it. These new movies took place so much farther in the future than the Thrawn Trilogy that it was conceivable that they did exist in the same universe with the exception of Han and Leia’s progeny. People are saying that The Last Jedi killed Star Wars. People have said that everything that has happened since the original movie was released has killed the franchise. And every movie franchise. And every book series. And every set of albums by a band. This has always happened and this will always happen. While I respect people’s opinions I do find it hard to follow the logic that leads people to believe that this is the specific thing that “killed” Star Wars. I can’t see how someone would look past the Star Wars Holiday Special, Caravan of Courage, The Battle for Endor, The Phantom Menace, The Attack of the Clones, The Revenge of the Sith, and somehow pinpoint this single moment as the moment Star Wars died. Star Wars is not dead and it never will be. 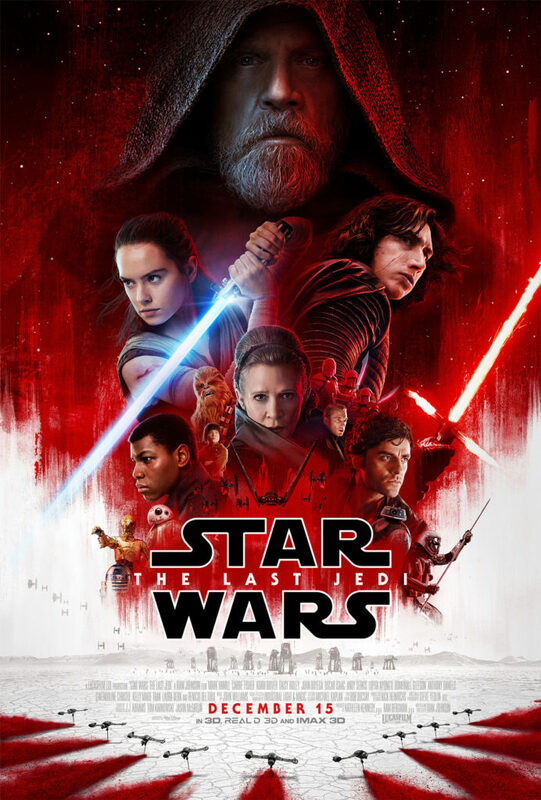 I had my problems with this movie but we’ve had nearly twenty years to process what happened with the prequel trilogy and I have processed my disappointment so that I’m at a place where I can just enjoy being immersed in the universe again with a lower level of commitment. What happens happens. There will be varying levels of quality within the franchise. What seems to be happening with these movies is that we’re saying goodbye to the original characters. 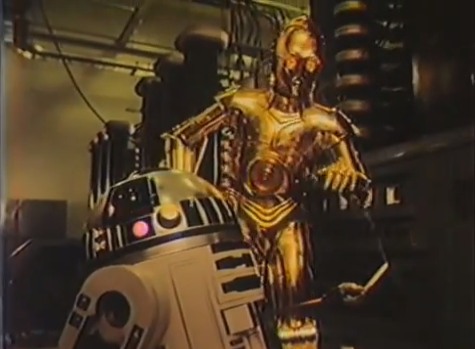 Future films will likely not have R2-D2 and C-3PO shoehorned into them. We probably won’t see Chewbacca or the Millennium Falcon. The Skywalkers will be gone and we can move on to see other things and meet new characters. 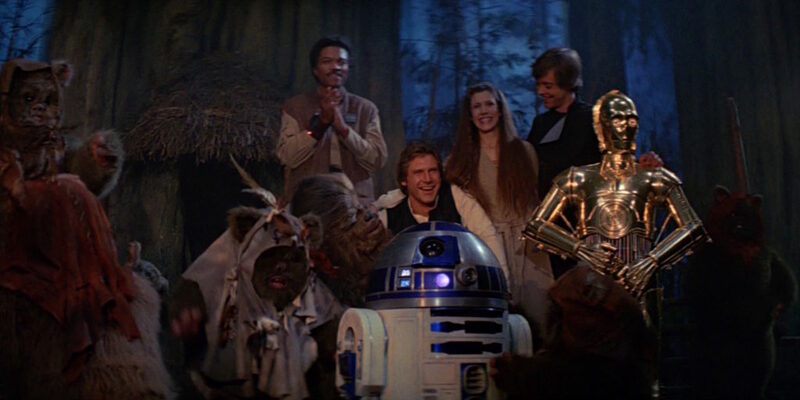 The thing I liked about The Force Awakens and The Last Jedi is that was that we were saying goodbye to the characters from the original trilogy. The Force Awakens was Han Solo’s big goodbye. We spent more time with him than any of the original characters and we said goodbye. It was painful but it needed to be done. The Last Jedi was Luke’s chance to do the same. It wasn’t quiet as painful as Han’s goodbye and I didn’t really feel it was necessary but we did it an Luke is gone even if he may return as a Force ghost at some point. I’m just sad that Leia won’t get the chance to do the same. Episode IX should have been her movie, her chance to shine. 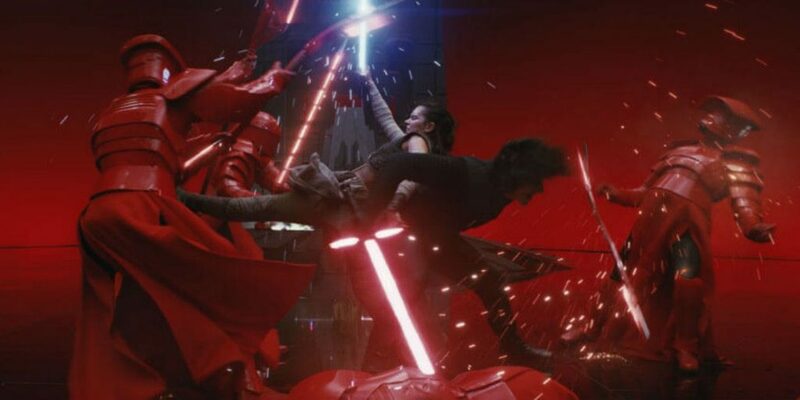 She had a big part in The Last Jedi but it wasn’t about her, it was about Luke. I don’t know if there is enough scrapped footage or CGI that can change that. The Last Jedi is not the movie I was expecting, however, the more I think about the better I feel about it overall. I don’t see the perfect movie so many other fans saw and I certainly don’t see it as the franchise destroyer that others saw. To me it was a mildly disappointing movie with some truly incredible parts in it. While I wasn’t excited about this movie I do look forward to seeing it a third time when it is released on DVD. I am also really looking forward to the new trilogy directed by Rian Johnson. There’s one thing I’m sure of: this trilogy of trilogies is getting tired. I look forward to a bold new direction for the Star Wars franchise in the future.